Circular recycled silver cufflinks with a textured background and an embossed swirl. Your choice of cubic zirconia is flush set on the edge of the cufflink. 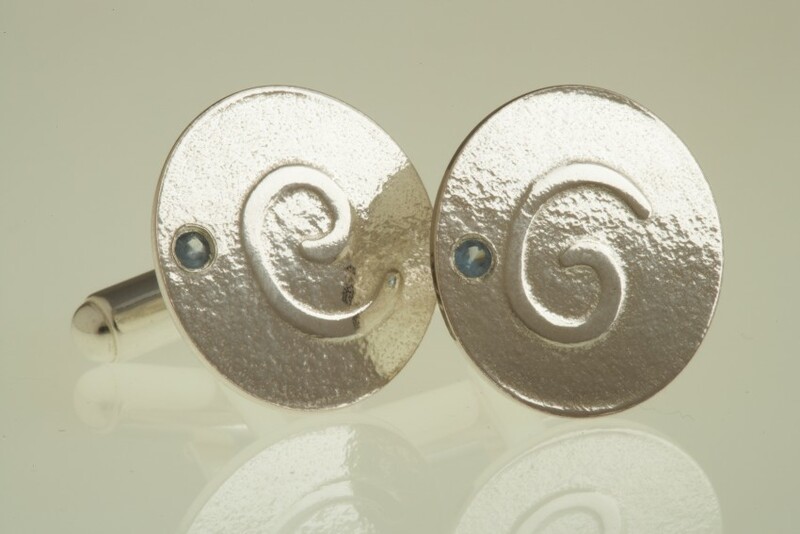 Diameter of the cufflink is approximately 16mm. All cufflinks are made by hand on receipt of your order. Cufflinks can take a minimum of 3 weeks to make.